Right about now you're either really excited about this recipe or wrinkling your nose in disgust. If you're on the "you put what in those brownies?" train, give us a chance to change your mind. 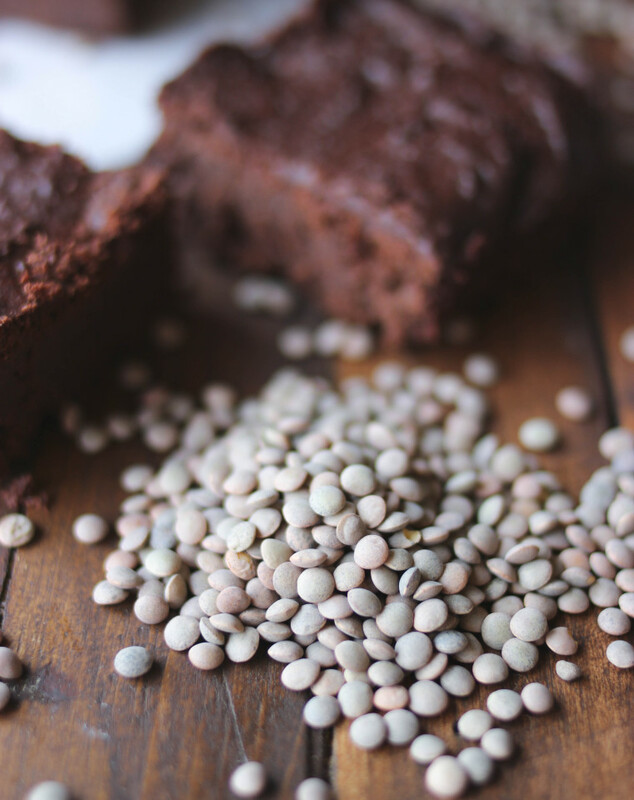 Lentils are full of protein and fiber and add an amazing amount of moisture to brownies. The lentils we use in the store and that we highly recommend are from Pacific Northwest Farmer Cooperative (PNW). On their website they say, "We're dedicated to preserving family farms and protecting the land through a way of life that some call old-fashioned." And we're completely OK with that. If it means that farmers are paid living wages, land is used sustainably and we can support the cooperative model, then we're actually more than OK! Now, these are not your average chocolate brownies, besides the fact that they're loaded with legumes. They are vegan, gluten-free and so fudgy that they'll satisfy any chocolate craving. We recommend using the Spanish Pardina brown lentils available in our bulk section (and on sale for 20% off through the end of the month). To prepare your lentils for this recipe, sort through them to remove damaged or discolored ones and rinse. Place in a saucepan and add 4 cups cold water for every cup lentils. Cover, bring to a boil, and simmer until soft, approximately 20-25 minutes. Season with a pinch of salt when lentils are about 70% cooked. Preheat oven to 350 degrees. Line an 8x8 inch pan with parchment paper, leaving a 2-inch overhang on all sides. In a food processor or blender, blend the lentils, yogurt and almond milk, scraping down the sides periodically. Blend until completely smooth. Transfer mixture to a bowl and mix in melted vegan butter. Add the cocoa powder, sugar, baking powder, vanilla, coffee and salt. Stir until well combined. Spoon batter into pan and spread with a spatula until smooth. Bake for 30 minutes. They may appear not quite done, but they'll firm up as they cool. They're especially delicious served cold (and it helps when cutting them too). Serve with a cold glass of almond milk!